Greta Moroni is a young Italian designer, born in 1993 in Milan. 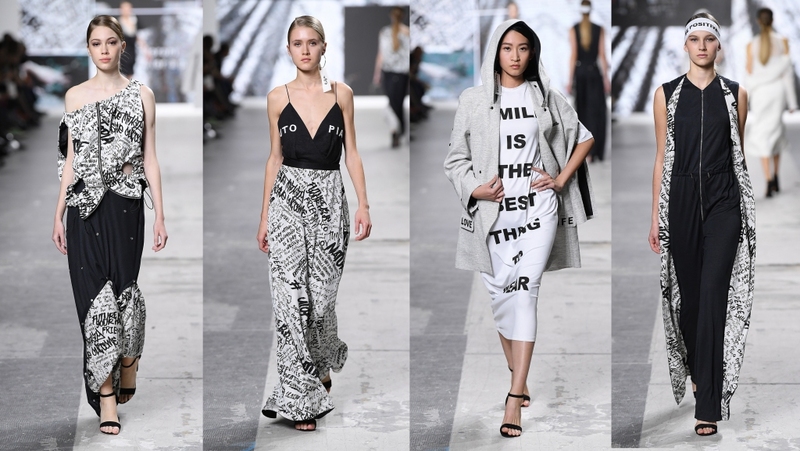 Moroni presents at the FASHION GRADUATE 2017 the S / S 2018 collection entitled UTOPIA FOR A POSITIVE WORLD. The looks are the translation of a feasible utopia: it is possible to live in a better place and spread positive messages. The collection, extremely versatile, embraces a philosophy of life attentive to nature and invites a deep reflection on global pollution. The palette plays with shades of black and white, with great research into materials and attention to eco-sustainability: organic cotton, hemp, linen, and newlife yarn produced 100% recycled plastic bottles. Finally, handmade embroidery and allover lettering enrich the creations. 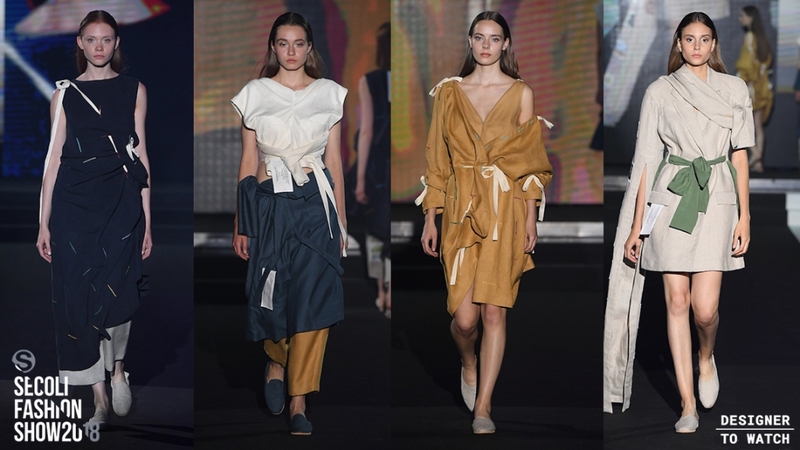 The collection was selected for the final of the first edition of the International Ecologic Fashion Design Contest, the first Chinese competition dedicated to environmental respect. Greta was also one of the three emerging talents graduated in Secoli in 2017 who participated, with her unpublished capsule "Freedom to walk on the flowerbeds - conscious collection", to the project "Designer to Watch", presented at the Secoli Fashion Show 2018. The discomfort of the modern world and the absurdities of everyday life told in shots with a sarcastic tone and sometimes provocative. Stretching / shortening, widening / tightening, the garments become a voice of contrast to the consumerism: trousers worn like sweaters, jackets used as bags, sweaters that become skirts. Sustainable materials and large labels recall the important values of life.